RAEA HR and HR+ provide the largest commercially offered repetition-rate range for a single box system. These systems allow your lab the flexibility to change repetition rate easily and widely without ever having to open the box. Deciding on a single repetition rate to commit to for a full amplifier system can be difficult when trying to weigh the benefits of guaranteed operation with the potential for greater efficiency. With RAEA HR and HR+ systems, you don’t need to know the perfect repetition-rate + energy combination before your experiment starts. These systems allow you to change your system operation on demand in order to optimize the performance of your laser while keeping the door open for other experiments down the road. Higher repetition rates mean more data collection in a shorter period of time. With RAEA HR and HR+, you can achieve similar pulse energy to the RAEA HP all the way out to 100 kHz. RAEA is designed to maximize your experimental up-time. Remote alignment capabilities mean that system tune-ups can be done without the need for a full service visit and, with drop-in modules, the parts of the system that need to be serviced by hand can be sent directly back to the factory for repair without the need for scheduling an onsite visit or tearing down the entire system. The RAEA HR and HR+ systems have the widest range of repetition rates of the Ti:sapphires we offer. With an operating range of 50 to 200 kHz, you have the ability to use your system for multiple experiments with just one box. The RAEA system also offers unique computer-controlled tuning of your system's repetition rate, meaning that the only thing you need to do to access your system's full range of use is to select a new settings profile. 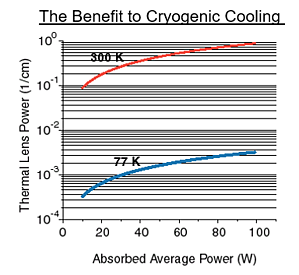 The award-winning Permacool™ cryo-cooling technology patented by KMLabs is at the heart of the HR and HR+ configurations, allowing you to push your system harder without having to worry about the massive thermal lensing that can distort your beam in both time and space in other systems. 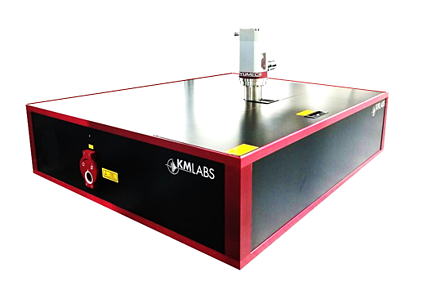 KMLabs’ 20+ years of experience in cryogenically cooling Ti:sapphire crystals have allowed us to fine-tune this technology to make the best use of it in your system.